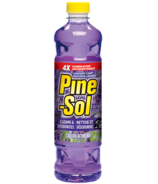 Pine-Sol cleaning products by Clorox! 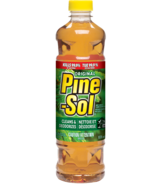 From Original Pine to a kaleidoscope of fresh-scented Pine-Sol varieties, all Pine-Sol cleaning products effectively attack dirt, grease and grime, and fill your home with the intense scent of clean. With everything you need and nothing you don't, Pine-Sol cleaners give you a deep clean you can see, smell and touch. Family and friends will feel the power of Pine-Sol when they walk in the door. They'll think you spent the whole day cleaning!